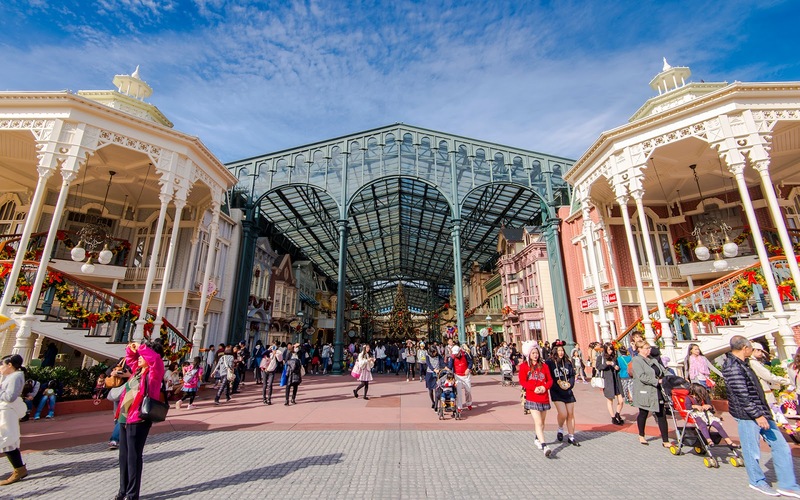 Tokyo Disneyland doesn't have a Main Street U.S.A. Instead, it has a World Bazaar, a... rather Main Street (Florida version) looking area housed under a large, glass roof that protects the park's entrance land from the elements during the winter. 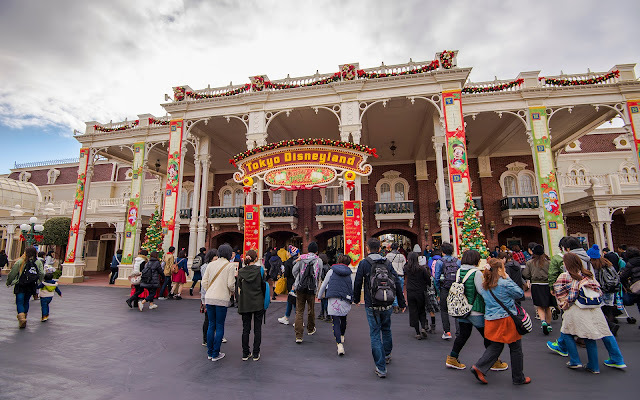 However, much like the other Disneyland Main Streets around the world, during Christmas time, there are plenty of holiday decorations that abound. From the giant tree at the center of the intersection of the World Bazaar's two avenues to a Christmas display at the front entrance, there is quite a yuletide energy greeting guests entering the park. 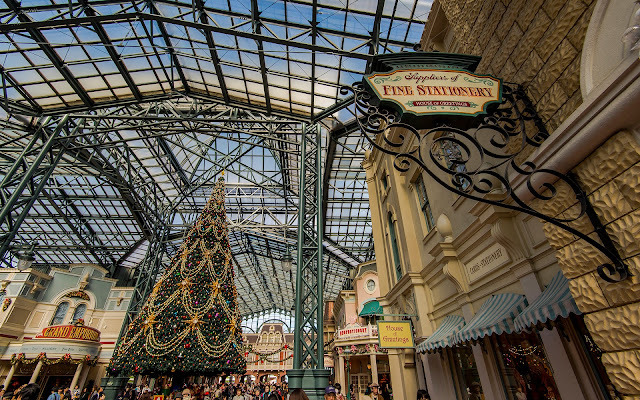 Here are a few shots of what I mean. Mickey, Minnie, and friends are ready to celebrate Christmas at the front of the park. 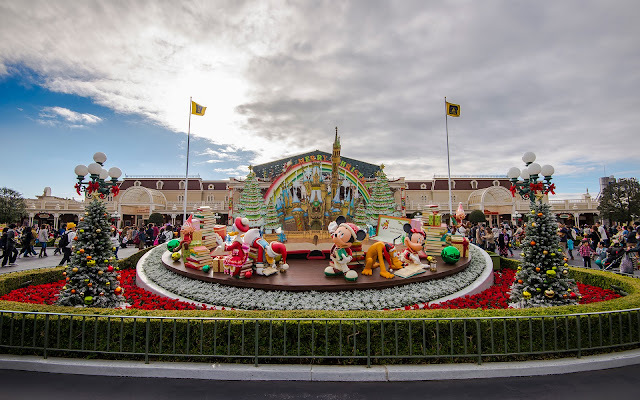 Each year, the Tokyo Disney Resort celebrates the holiday season under the "Christmas Fantasy" event. 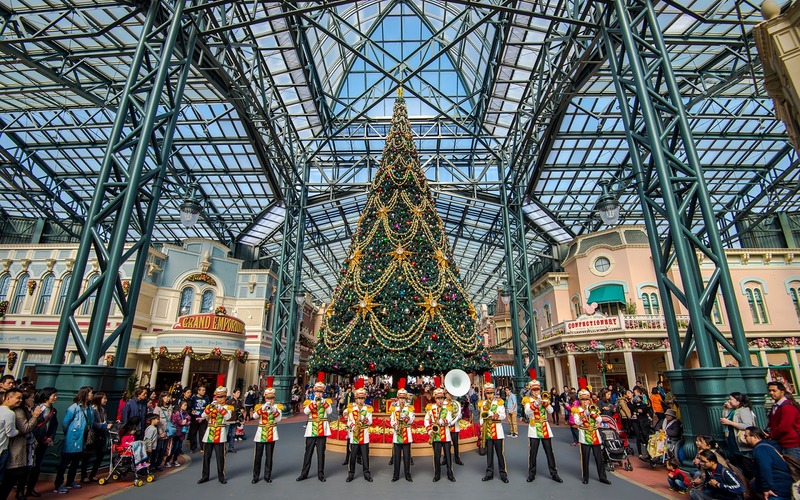 The Tokyo Disneyland Band plays Christmas songs regularly in front of the giant Christmas tree! 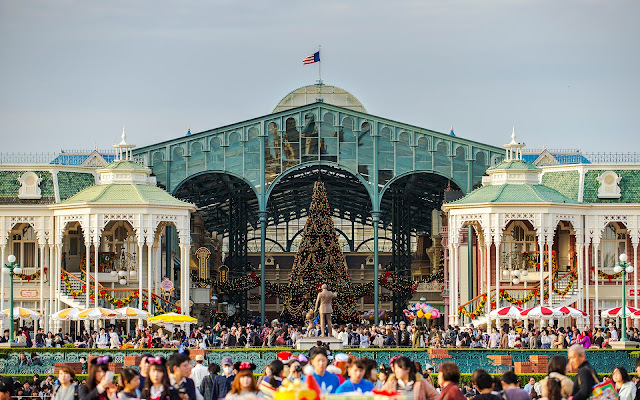 Coming out of the World Bazaar on the Hub side of things. And here's a longer view of the area, taken the center of The Hub!